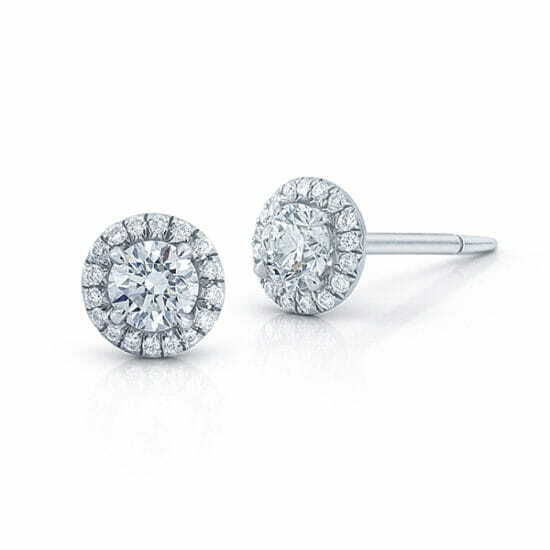 The Marisa Perry micro pave Diamond Studs feature two 0.71 carat Round Brilliant Cut F Color SI1 clarity center diamonds set in platinum with 2 points of micro pave. Exquisite workmanship for exceptional diamonds. Please email [email protected] or call 212-566-8977 for alternate center diamond sizes and custom orders. Available in platinum, 18k rose gold and 18k yellow gold.